The thing I love most about Summer is that everywhere I go, I like to pretend that I'm on vacation. 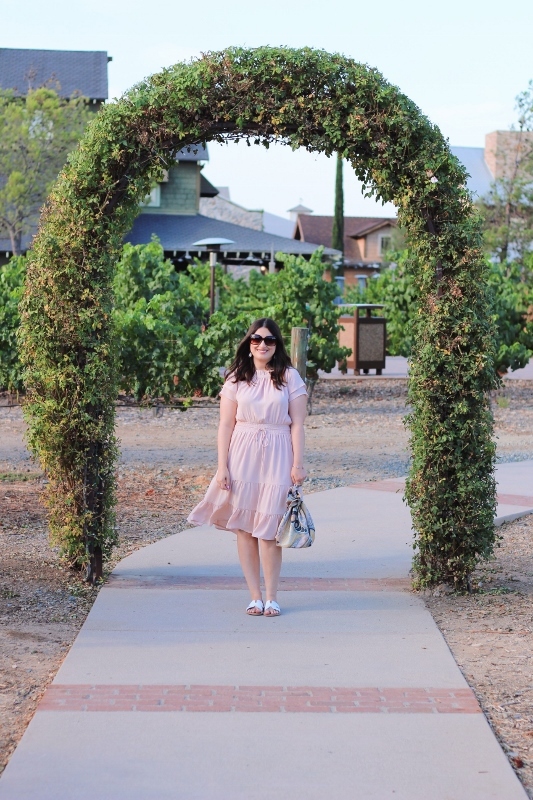 And every Summer Temecula gets an influx of tourists, especially out in the wineries where buses of people are constantly in rotation and parties hop from one winery to the next. On this particular night, Nate and I went out to dinner but stopped at one for a quick glass of wine. 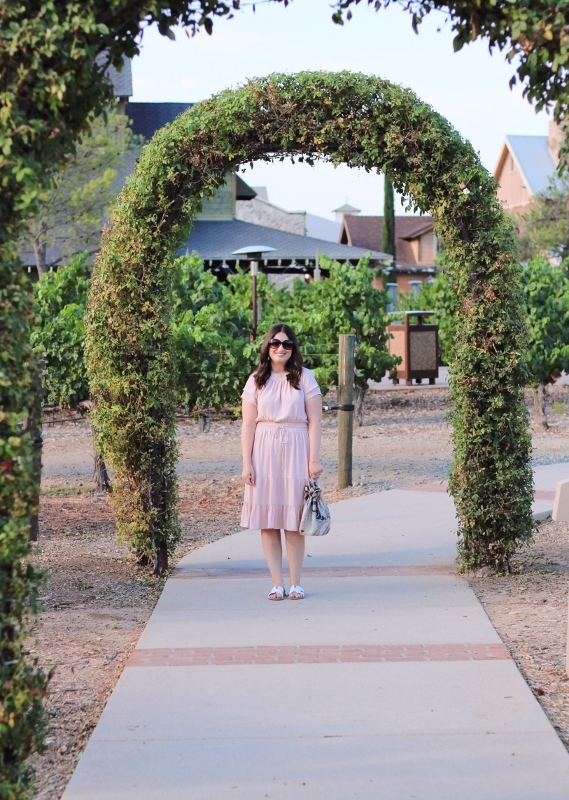 The path leading from the hotel to the winery itself was empty, so I figured it was a good time to snap some photos of my outfit. This dress (last seen here) is unfortunately sold out, but I found a beautiful option with a similar silhouette in case anyone is interested. 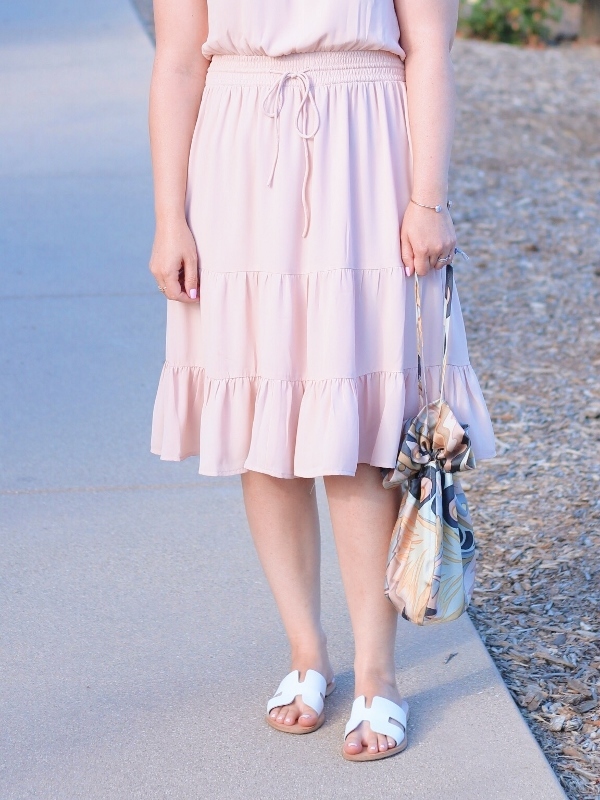 I love easy dresses that can be dressed up with pretty heels, or dressed down as I've done here. I added my new poppy pouch from Cult Gaia that's still pricey on sale, but as I said on Friday, I'm over the moon for this dreamy pastel print and I just had to have it. I think it'll be perfect in Tulum next month. I hope everyone had a fabulous weekend! I'm linking up with Rachelle today. that dress is the cutest, love the color and length. Thanks Rachelle, I love that it’s a pull-on style. Just pop over my head and go! It’s a great dress style. This dress is just so pretty. I love this shade of pink and all of the feminine details. I can totally see Zeba wearing something like this too. ;) Hope you had a wonderful weekend too! 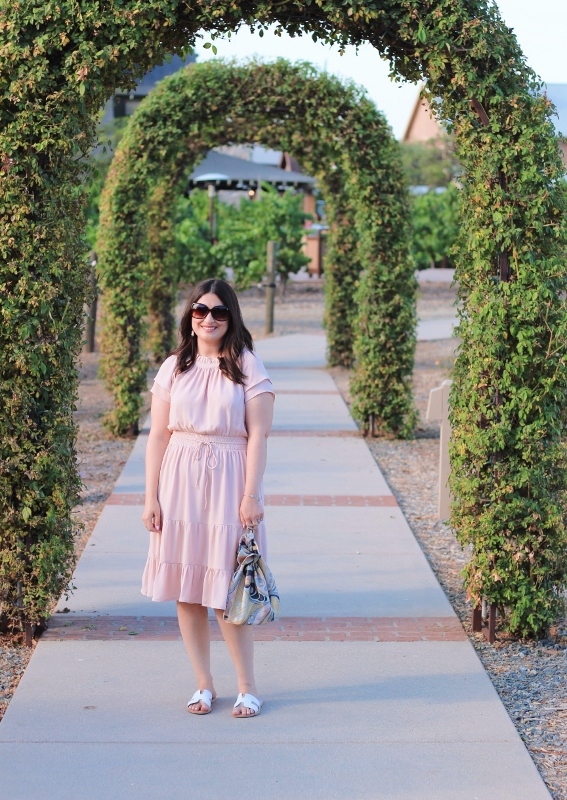 Your blush dress does look so perfect for summer, and the new bag coordinates with it perfectly! Thanks Lydia, I’m in love with the silk pouch. It’s even better in person. That bag is perfection with that dress! You look fabulous!